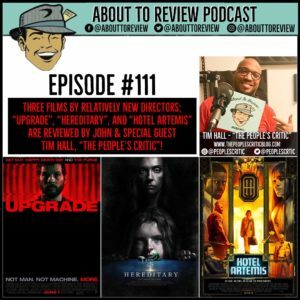 This episode highlights three films by directors who are just starting their feature film making careers . 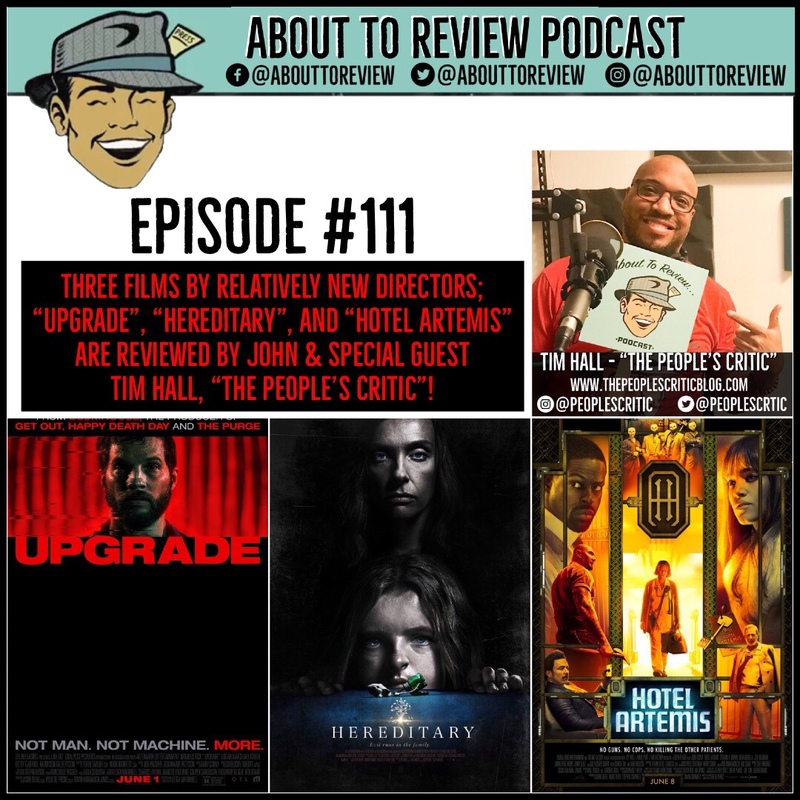 Films include the sci-fi action thriller “Upgrade”, the uniquely terrifying “Hereditary”, and finally the star studded romp “Hotel Artemis”. Thank you so much to Tim Hall for coming by the studio and recording this episode! Make sure to listen and subscribe to his podcast “Made in the 80’s” which is linked below!